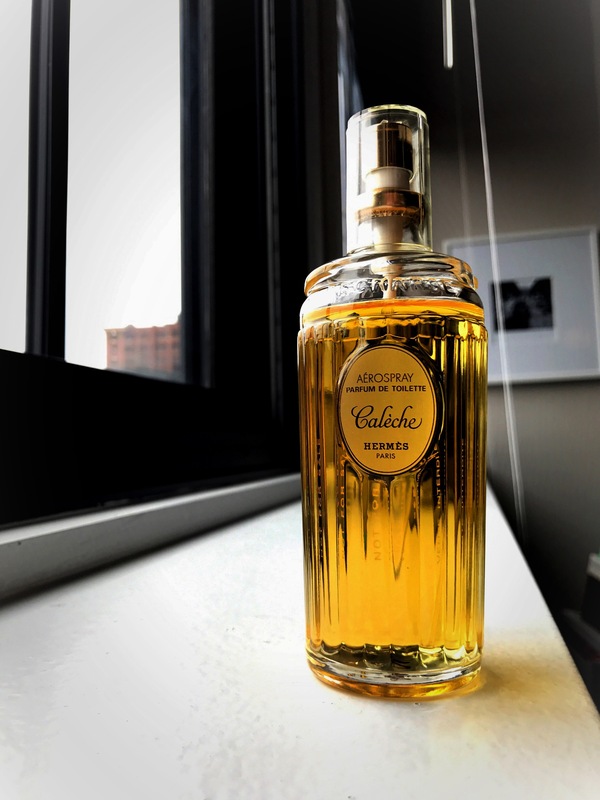 Calèche (Hermès 1961) opens with one of the most beautiful orange blossom arrangements I’ve ever encountered. The perfect woody citrus, neroli and aldehydes compliment the orange blossom to an almost tragically lovely degree – like a singularly pretty spring day. Into the drydown an herbal floral combination is prim but soothing and engaging. Intriguingly, on my skin the vintage oakmoss, vetiver, musk and cedar create a nearly spicy, animalic accord. And into the later drydown the lemon reemerges as a soft, powdery delight. This beauty is wild and free. Top notes: aldehydes, lemon, lime, mandarin orange, neroli, orange blossom and cypress. Middle notes: ylang-ylang, rose, lily-of-the-valley, gardenia, iris and jasmine. Base notes: cedar, oakmoss, vetiver, musk, amber, tonka bean and sandalwood.